Have you met Manager SE Truck Edition? Power up your productivity with a complete truck shop management system. We’re excited to tell you about our new shop management system to help truck repair shops keep track of all the moving parts in their shop. 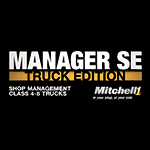 Introducing Manager SE Truck Edition – a new shop management system to help repair shops that service Class 4-8 trucks keep track of all the moving parts in the shop. 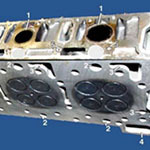 Insights into how online service information helps increase technician efficiency and productivity by speeding up diagnostics and repairs.